Dr. Ma's interests are in applied mathematics, especially in biomathematics. 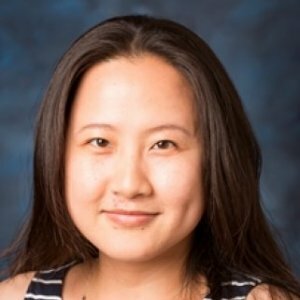 Dr. Ma received her Ph.D. in applied mathematics with a minor in statistics from Pennsylvania State University in 2011 and her B.S. from the University of Science and Technology of China in 2006. She joined the LMU faculty in 2011. The formation of a thrombus (commonly referred to as a blood clot) can potentially pose a severe health risk to an individual, particularly when a thrombus is large enough to impede blood flow. If an individual is considered to be at risk for forming a thrombus, he/she may be prophylactically treated with anticoagulant medication such as warfarin. When an individual is treated with warfarin, a blood test that measures clotting times must be performed. The test yields a number known as the International Normalized Ratio (INR). The INR test must be performed on an individual on a regular basis (e.g., monthly) to ensure that warfarin’s anticoagulation action is targeted appropriately. In this work, we explore the conditions under which an injury-induced thrombus may form in vivo even when the in vitro test shows the appropriate level of anticoagulation action by warfarin. We extend previous models to describe the in vitro clotting time test, as well as thrombus formation in vivo with warfarin treatments. We present numerical simulations that compare scenarios in which warfarin doses and flow rates are modified within biological ranges. Our results indicate that traditional INR measurements may not accurately reflect in vivo clotting times. In this paper, we propose a stochastic model for the microbial fermentation process under the framework of white noise analysis, where Gaussian white noises are used to model the environmental noises and the specific growth rate is driven by Gaussian white noises. In order to keep the regularity of the terminal time, the adjustment factors are added in the volatility coefficients of the stochastic model. Then we prove some fundamental properties of the stochastic model: the regularity of the terminal time, the existence and uniqueness of a solution and the continuous dependence of the solution on the initial values. In this paper, we present a study on generalized local and nonlocal equations for some stochastic processes. By considering the net flux change in a region determined by the transition probability, we derive the master equation to describe the evolution of the probability density function. Some examples, such as classical Fokker–Planck equations, models for Lévy process, and stochastic coagulation equations, are provided as illustrations. A particular application is a consistent derivation of coupled dynamical systems for spatially inhomogeneous stochastic coagulation processes. This paper considers the microbial batch culture for producing 1,3-propanediol(1,3-PD) via glycerol disproportionation. Due to the nature of the fractional order operations, a novel fractional order model, which is based upon the original ordinary differential dynamic system, is introduced to describe the complex bioprocess in a more accurate manner. Existence and uniqueness of solutions to the novel fractional order system and the continuity of solutions with respect to the parameters are discussed respectively. In addition, a parameter identification problem of the system is presented, and a particle swarm optimization algorithm is constructed to solve it. Finally, the conclusion is drawn by numerical simulations. We study an optimal investment and dividend problem of an insurer, where the aggregate insurance claims process is modeled by a pure jump Lévy process. We allow the management of the dividend payment policy and the investment of surplus in a continuous-time financial market, which is composed of a risk free asset and a risky asset. The information available to the insurer is partial information. We generalize this problem as a partial information regular-singular stochastic control problem, where the control variable consists of regular control and singular control. Then maximum principles are established to give sufficient and necessary optimality conditions for the solutions of the regular-singular control problem. Finally we apply the maximum principles to solve the investment and dividend problem of an insurer.